The Minister of Defense noted the successful development of Azerbaijan-NATO relations and stressed the importance of the Alliance's position on security in the South Caucasus for peace and stability in the region. Touching upon the military-political situation in the region, Colonel General Z. Hasanov noted the importance of achieving a solution to the Armenia-Azerbaijan, Nagorno-Karabakh conflict within the territorial integrity of Azerbaijan and in accordance with the norms and principles of international law. Colonel General Z. Hasanov highly appreciated NATO's position on the territorial integrity and sovereignty of Azerbaijan and expressed confidence that the Alliance will continue to assist in this sphere. During the discussion of the UN Security Council Resolution 1325 "On Women and Peace and Security" Colonel General Z. Hasanov, noting the interest of our country in fulfilling the requirements arising from this document, brought to the attention of the guests that there are more than ten thousand women who are serving in the Azerbaijani Army. 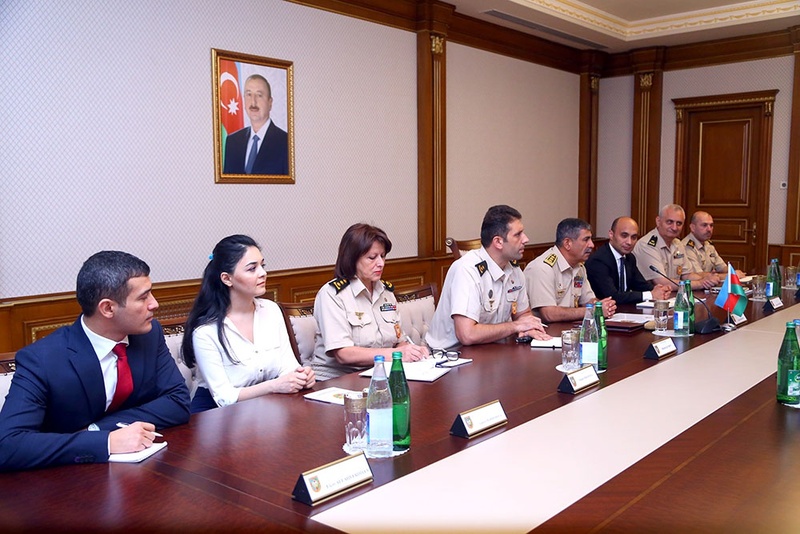 Colonel General Z. Hasanov added that soon it is envisaged to establish the post of the referent of the Minister of Defense dealing with the problems of women servicemen and civil servants. R. Gottemoeller noting the position of Azerbaijan in this issue as worthy of approval, stressed that Azerbaijan is a reliable partner of NATO and highly appreciated the participation of our country in the fight against terrorism and the cargo transportation carried out for peacekeeping operations, as well as the contribution made by Azerbaijani peacekeepers to international security within the framework of the operations in Afghanistan. 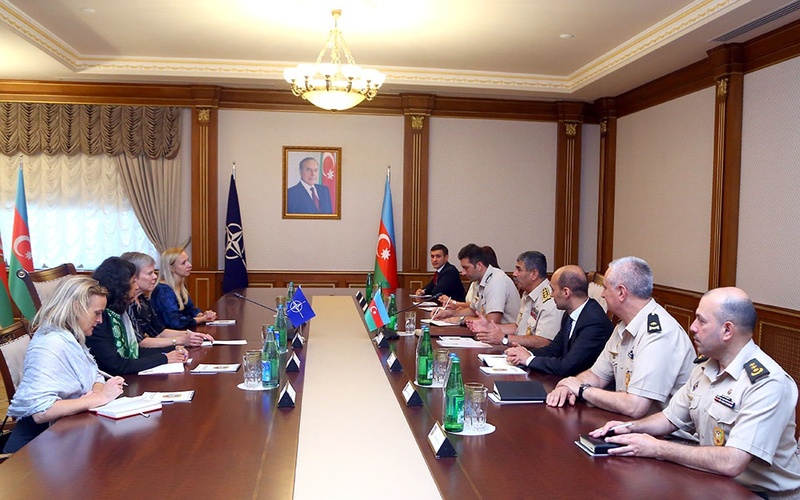 R. Gottemoeller expressed gratitude to the Azerbaijani side. An extensive exchange of views on the issues of Azerbaijan-NATO cooperation within the framework of the Partnership for Peace and other programs, the implementation of projects, the current state and prospects for the development of relations was also held during the meeting.